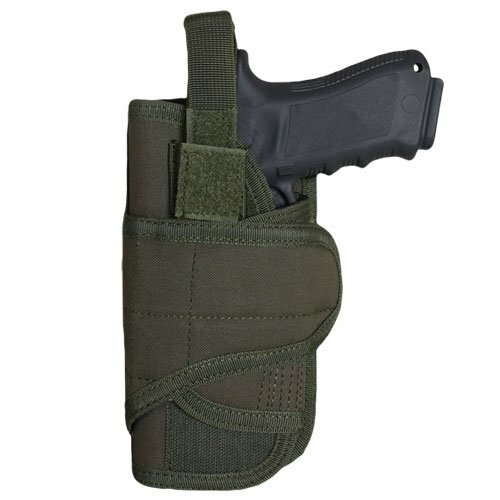 The fox Cyclone vertical-mount modular holster fits all large frame Tactical handguns with accessories. Level II thumb break security system. Modular design for ease in attachments to leg platforms, vests and any product with modular webbing. Can be adapted to fit any standard size belt.